President of the Senate, Dr. Abubakar Bukola Saraki, on Thursday, stated that one of the primary objectives of the 8th National Assembly is to increase private sector participation in all spheres of the economy in order to make the country viable. Saraki, according to a statement by his Chief Press Secretary, Sanni Onogu, in Abuja, stated this while welcoming the Board of Directors of the United States (U.S.) Chamber of Commerce and the Africa Business Centre (ABC) during their courtesy visit to the leadership of the Senate at the National Assembly. Other members of the delegation led by the ABC Co-Chair and Chairman of Dangote Group, Alhaji Aliko Dangote, included the U.S. Ambassador to Nigeria, Mr. Stuart Symington, Chairman of Zenith Bank, Mr. Jim Ovia, President of the ABC, Mr. Scott Eisner and several other board members. The President of the Senate was was joined by Majority Leader, Senator Ahmad Lawan, Deputy Leader, Bala Ibn Na’Allah and 13 other Senators. Saraki said that the aim of the 8th National Assembly under his leadership is to reduce "government intervention in sectors that traditionally are guided by market forces." "One of our primary goals is to increase the private sector’s participation in the economy by reducing government intervention in sectors that traditionally are guided by market forces," Saraki said. "This reform will help create more industries needed for job growth and economic stability. To this end, several of the Senate’s priority economic bills are making their way to final passage in both Chambers." Over the past two years, Nigeria has invested heavily in the agriculture sector as an integral initiative to diversify the economy. 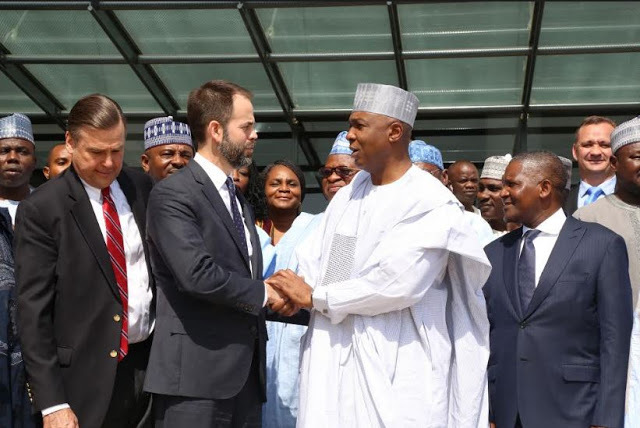 Several members of the delegation thanked the President of the Senate for his leadership on economic reform issues and in undertaking a review for recommendations to enhance Nigeria’s ICT sector. The Senate President applauded the project and commended the companies for their efforts to train young Nigerians. “Nigeria’s ability to grow the economy with jobs is a national priority” Saraki said. “ICT development is the way to develop employment and skills training opportunities for many young people in Nigeria and we must continue to work together to create the enabling environment to realize this potential." He also welcomed the Co-Chair of the Africa Business Center, Alhaji Aliko Dangote, to the National Assembly and commended him for his contributions that helped shape the Senate’s Economic Legislative Agenda through his participation in a business leader’s roundtable in Lagos in September 2016. 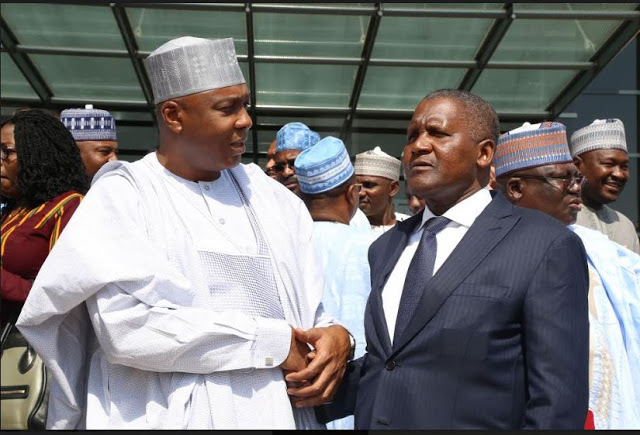 "It should be noted that several of his keen observations and ideas were incorporated into the National Assembly’s Recommendations to President Muhammadu Buhari, on growing the economy," Saraki stated.